South Carolina video production company, Go To Team, was selected to produce the first television spots for the South Carolina Education Lottery. Go To Team worked with the creative team at NS&G to shoot footage that will be incorporated into the 9 broadcast spots. 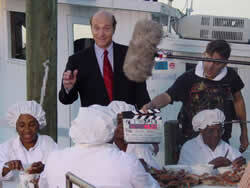 Creative Director, Gary O’Neil was on location to ensure that the “simple advertising strategy of bringing the lottery to the people of South Carolina” was upheld. South Carolinians comprised Seventy-Five percent of the crew. Trident Technical College professors filled two key positions, and several Trident students served as production assistants. One of our key goals was to insure that we used as many qualified crew members from South Carolina as possible”, Patrick Bryant, Operations Manager for the project. 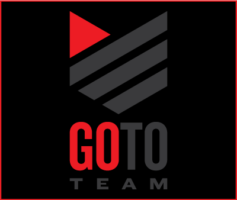 Go To Team had the opportunity to partner with Boston based Picture Park, a commercial production company. Picture Park provided Director, Bill Cuccinello, Executive Producer, Billy Near, Producer, C. Fitz. Go To Team’s office space in Charleston, SC housed the entire production. The Lottery Express on Location. The ads will feature Thom Sharp, an actor who has served as a national spokesperson for Hewlett-Packard, Zip-Loc, and Shoney’s among other companies. Sharp travels the state in a brightly designed motor home vehicle informing residents about the South Carolina Education Lottery. In a busy 3 days of shooting the crew managed to shoot almost all the footage for the spots. In Downtown Columbia the locations involved were Hiller Hardware on Lady St and the Statehouse grounds. In the Lowcountry the crew was at Beachwear and Gifts on Folly Beach, Charleston Naval Base, Shem Creek and Magnolia Cemetery all became the background to the people of South Carolina. The television spots began airing in mid-December. The South Carolina Education Lottery will officially launch on January 7th. “It’s just plain fun!” Or, click on the “Play” Button to watch “Ghost Tour”, one of the 9 SC Lottery Spots.